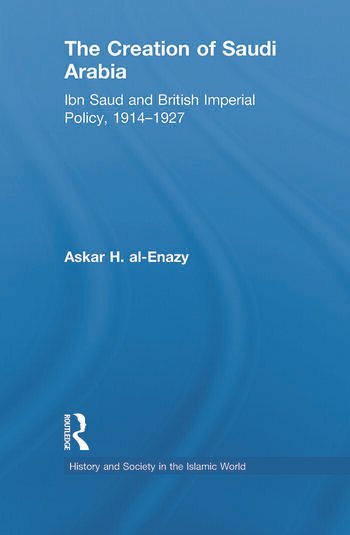 Overturning previous interpretations that see the territorial expansion of the Saudi state between 1915 and 1926 as the result of an aggressive Wahhabi ideology carried out by a politically ambitious Ibn Saud, this book explores the links between Saudi territorial expansion and British Imperial policy. Depicting this expansion as the outcome of the implementation of Britain’s imperial policy to achieve specific regional military and political objectives in the Middle East, the author examines the Anglo-Saudi legal arrangement which fully integrated Saudi foreign policy into the framework of Britain’s imperial policy system in order to serve specific British military and political objectives in the Middle East concerning primarily, but not exclusively, the occupation of Palestine. The personality of Ibn Saud and his religious ideology of Wahhabism served as most effective policy instruments.The author shows how Ibn saud’s motivation was primarily defensive, preservationist and in agreement with the acquiescent nature of Wahhabism in which absolute obedience to the ruler constitutes its cardinal principle. In this context, he compares its inherently antagonistic attitude towards non-Wahhabi muslims with its fundamentally benevolent outlook towards non-Muslims, particularly western Christian powers. Askar H. al-Enazy is a lecturer and researcher in international relations and international law currently based in Riyadh, Saudi Arabia. He has previously published on the political and territorial issues between Saudi Arabia and Yemen.